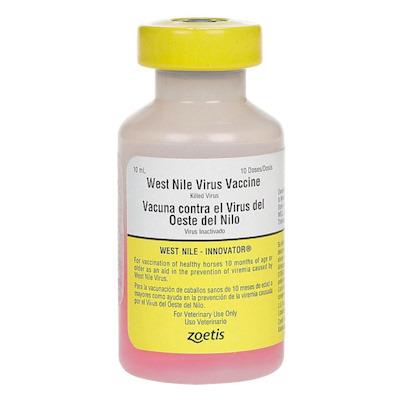 West Nile Innovator (Zoetis) 10 Dose Vial America’s first choice for proven protection.The original West Nile virus vaccine, proven in the face of an epidemic. Also available in single dose with syringe and needle. Inject one 1ml dose intramuscularly using asceptic technique. Administer a second 1ml dose in 3-4 weeks after the first dose. Revaccinate annually with one 1 ml dose.